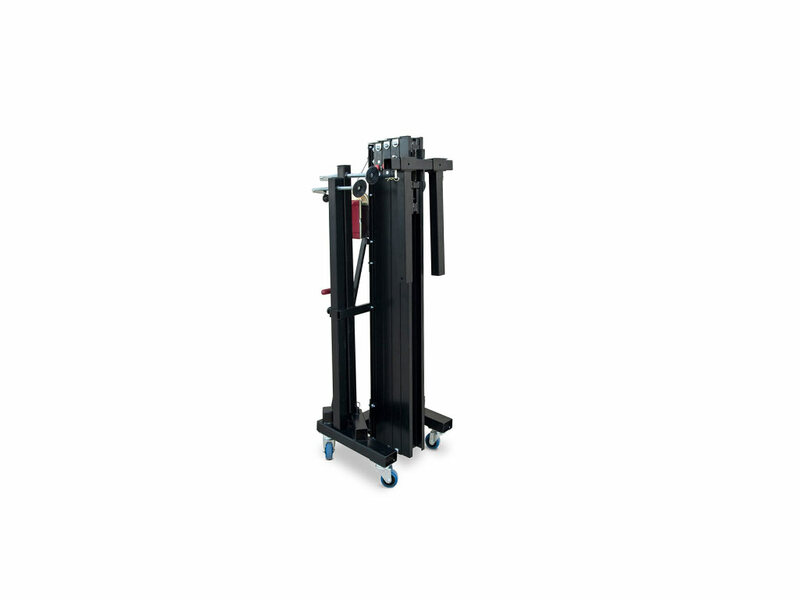 WT 150, the most compact lifting tower of the market for Line Array systems. 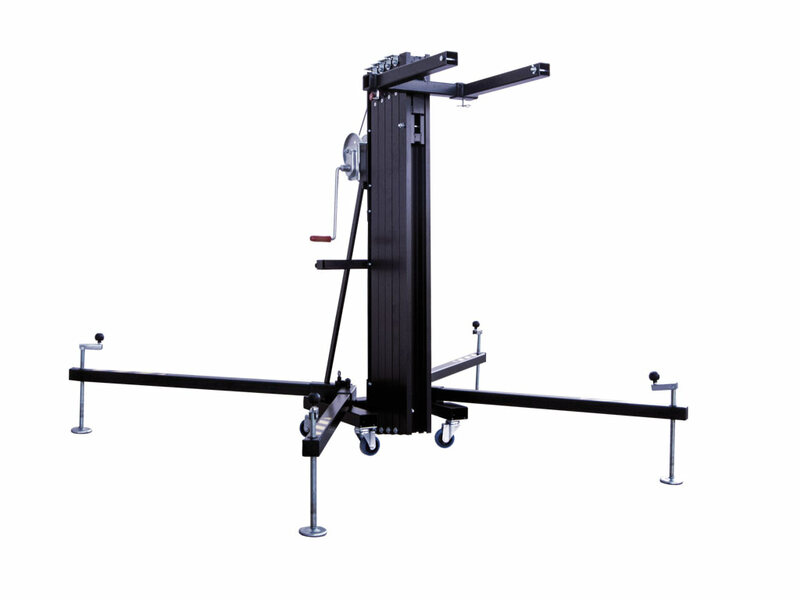 WT 150 is without a doubt the most compact lifting tower of the market for Line Array systems. It fits in almost any car, because it only measures 157 cm long when it is folded. 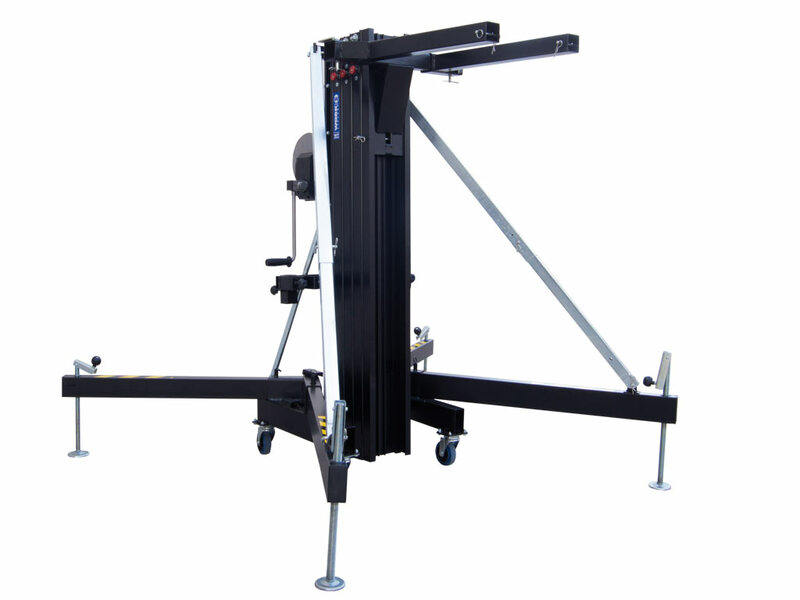 It allows installing small size Line Array systems with maximum convenience. 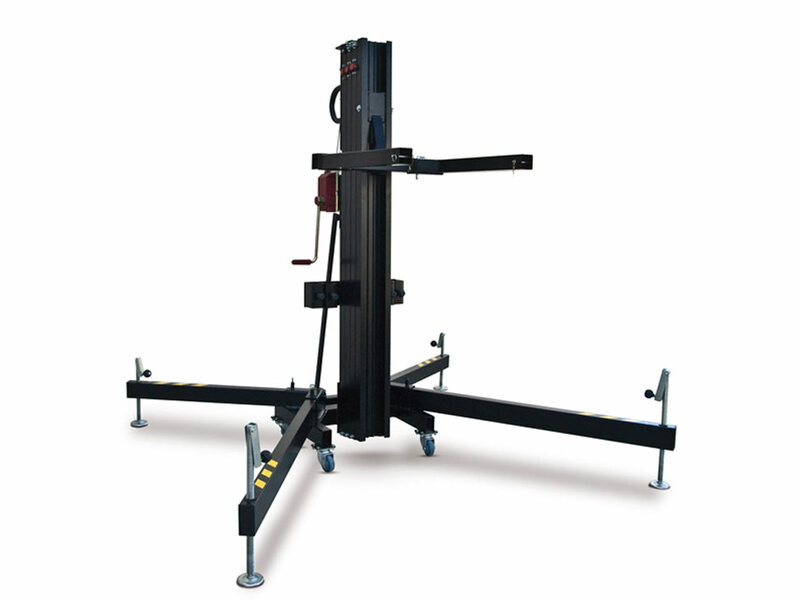 Like the other lifters exclusively designed for Line Array systems, WT 150 gives users the assurance that they are working with a top quality lifting tower, which protects people and loads (up to 200 kg). Weight: 103 kg (227,07 Lb). 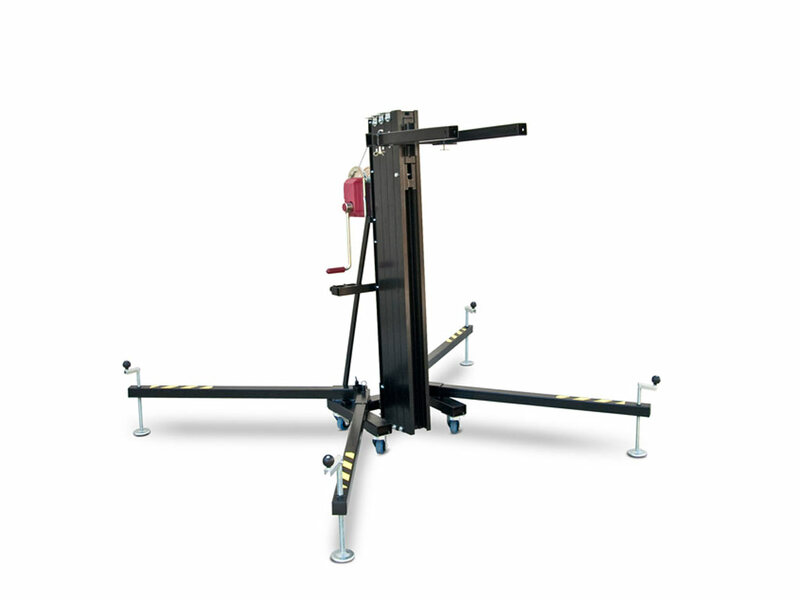 Max load: 200 kg (440.92 Lb). Min height: 1.57 m (5.15 ft). Max height: 5 m (16.4 ft). Unfolded base dimensions: 2.18 x 1.75 m (7.15 x 5.74 ft). Folded base dimensions: 0.51 x 0.48 m (1.67 x 1.57 ft). 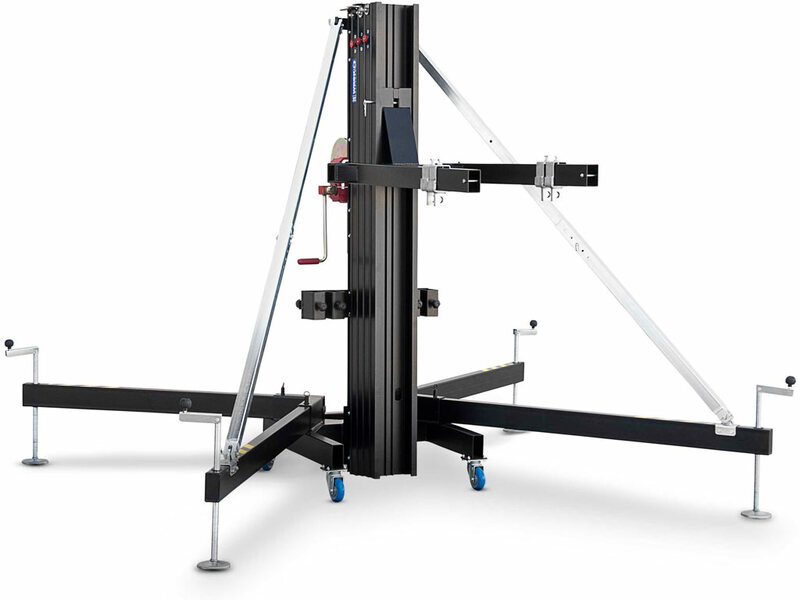 WT 150 Four extensible profiles made of extruded aluminium. 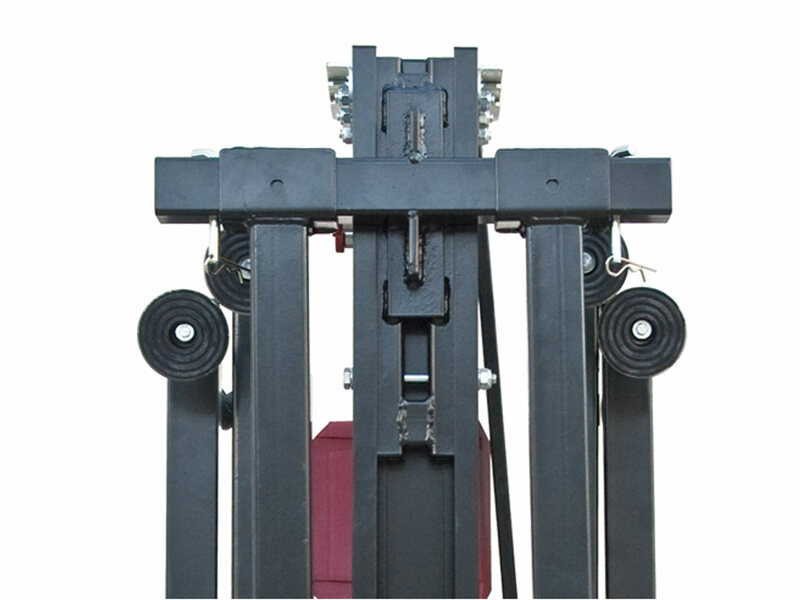 70WTE150 1416 WORK LiftersEquipson S.A.